Water is a scarce resource, and especially in rough terrains. People, including armed forces personnel, living in inhospitable environment have to compromise on their hygiene for the lack of water. An Indian start-up is trying to crack this problem, and has made headway into the global and domestic personal hygiene market. 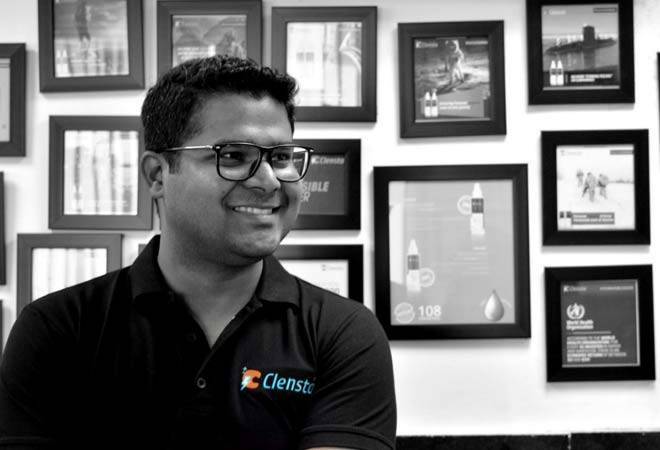 Here are excerpts from the Business Today's interaction with Puneet Gupta, Founder & CEO of Clensta. Business Today: How did the idea to start Clensta come about? How many people founded the company? Puneet Gupta: The idea of Clensta came about while I was working closely with the armed forces. The soldiers who were on duty at remote locations like Siachen, Kargil and Drass had to deal with extreme conditions. These personal experiences of meeting Indian soldiers and witnessing the privation faced by them propelled me towards developing waterless products, leading to the birth of Clensta. Further, after extensive discussions with experts, I realised that, directly or indirectly, the availability of water or the living conditions of an individual are primary reasons why sometimes people lack access to something as basic as personal hygiene. All these inspired me to start Clensta in 2016. We collaborated with IIT Delhi and were trying to solve the problem of people who often compromise on their personal hygiene due to no or limited water availability. Our main idea was to make personal hygiene accessible to everyone through our waterless products - shampoos and body bath. BT: What kind of response you have received so far? Who are your clients? Gupta: We have been receiving an overwhelming response for the products due to its unique concept. The products have proven to be beneficial for people who face an issue of maintaining personal hygiene on the go, due to restricted movement and in extreme conditions where there is unavailability of water. For instance, soldiers who are unable to take bath for many days due to the extreme conditions in which they live can now take a bath in the bunkers thus protecting themselves from any illness. Clensta products are also useful for people who are bed-ridden and where mobility is a concern. We cater to an array of clients for whom maintaining personal hygiene is a concern due to various circumstances. The clients include hospitals & OTC, adventure enthusiasts, railway network and hotels, defence personnel, home healthcare and space. BT: What are the new products that you are working on? Gupta: We will be currently focussing on the products available in our portfolio; however, we have plans of entering the space of dental hygiene. We will be calling it a "Safe-to-Swallow" formula that will take care of dental health even in odd circumstances or extreme weather conditions. BT: What are your revenues? How much growth you are expecting going forward? Gupta: What we thought of an idea has grown into an innovative healthcare solutions company that has witnessed an upward curve growth since its inception in 2016. Within one year of commercialisation, the company grew at a rate of four times. Our focus is to go deeper in the existing Indian market and tap different cities across India. We are present in many countries across the globe including a subsidiary in The Netherlands. We are present in the MENA region and are already in discussion and exploring business opportunities in Africa, Asia, European Union, and North and South America. BT: What kind of funding you have received so far? Gupta: We have some prestigious shareholders and investors who have been instrumental in supporting us and our concept of waterless technology. There was an undisclosed amount of seed funding last October from Indian Angel Network. Some of our prominent investors include Ajai Chowdhry, co-founder, HCL; Pradeep Gupta, co-founder, IAN; Arvind Singal, founder & MD, Technopak Advisors; and Raman Roy, chairman, NASSCOM.